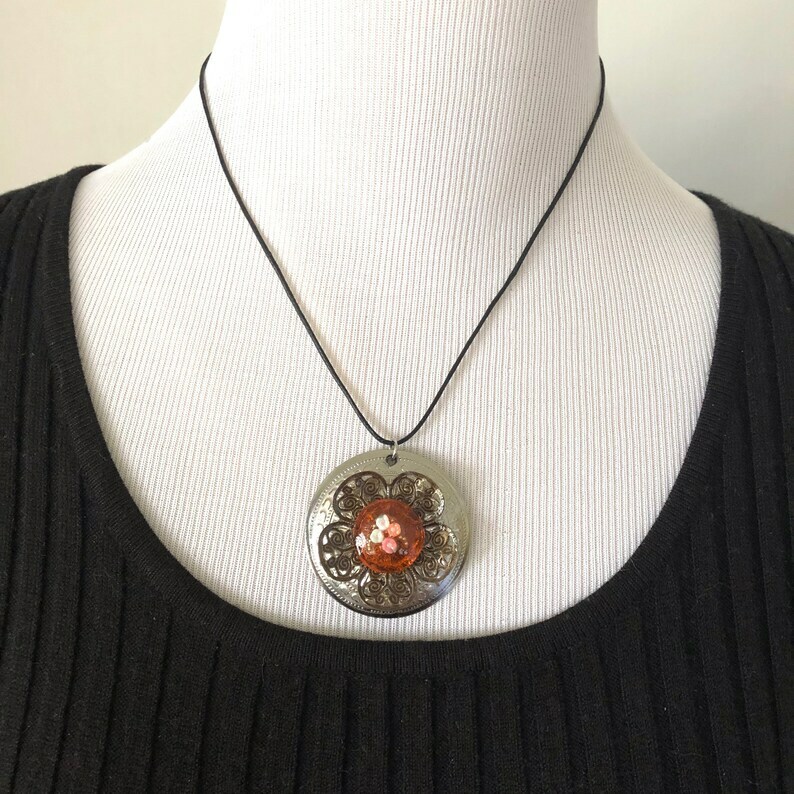 Mixed media floral pendant necklace, made with metal, glass, and epoxy. This pendant comes with a faux-leather black cord. This was a really cool necklace. I love the design and it fit well.